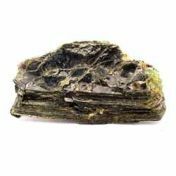 Mica is a metamorphic mineral. The many variations come from the diverse ways it formed. Mica formations are associated with volcanoes and hydrothermal vents. The most easily recognizable characteristic are the thin crystal layers. With many micas the sheets peel off in thin transparent layers due to mica’s perfect cleavage. The crystal structure is monoclinic with a somewhat hexagonal crystal shape. These two characteristics are due to the structure of the atoms that make up the mica group. Mica also has a brilliant shininess that glitters and sparkles. In fact the name mica is believed to have come from the Latin word micare which means “to shine.” Mica is responsible for the flashes of light in composite rocks such as granite, gneiss, and slate. 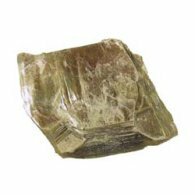 Mica is often used as an insulator in electrical applications, but it is also valued for collections and artistic applications. Mica deposits are widespread, being found on all the continents. Some of the larger deposits are found in Colorado, USA; Evje, Norway; and Minas Gerais, Brazil. Chemical formula:Any of a group of hydrous potassium, aluminum silicate minerals. Location: mica is found in many rocks around the world. Noteable deposits are found in india, South Dakota,Russia, and Brazil.